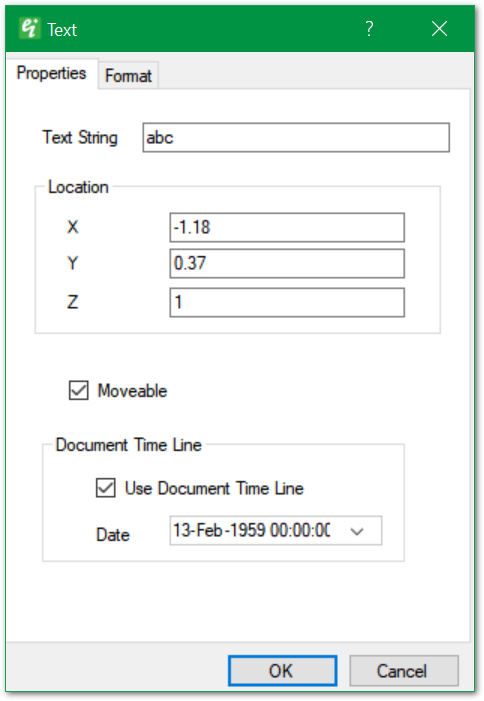 EnviroInsite allows user to enter simple text strings and define their format properties. By default, text are drawn using a background mask. The background mask, an outline drawn around each text character, enhances the visibility of the text object when displayed over busy backgrounds such as aerial photos. 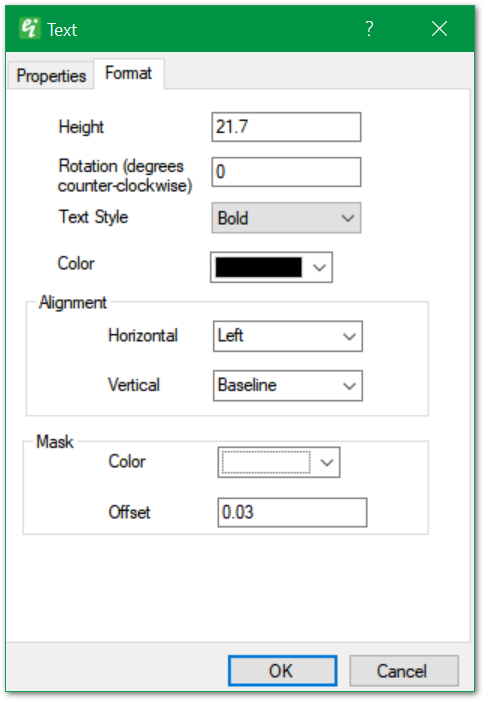 Select Draw> Text from the main menu to open the Text dialog box. Edit the text properties and format as desired and click the OK button to save changes.